We specialize in Commercial Kitchens. Vent hood cleaning keeps your kitchen clean and safe. We also clean driveways, fences, building and roofs. No job to big or to small. Certified in pool cleaning and maintenance. Professional carpet, floor, drapes and upholstery cleaners, cleaning apartments, condos, guest houses. Experts in sanitizing hotels, casinos, restaurants and kitchens. Flood and leak recovery. TCI HOSPITALITY SUPPLIES is your one stop local supplier for Paper & Disposables, Housekeeping & Dispensers, Cleaning Chemicals, Barware, Kitchenware, Dishware, Glassware and Silverware in the Turks and Caicos Islands. 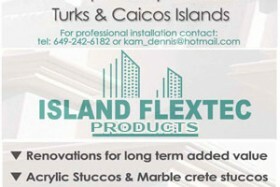 We are a custom woodworking, construction and design company, serving the Turks and Caicos Islands since 2006. Custom Cabinetry, Louvered Doors & Windows, Stairs railings, Folding Door systems, Screen systems, Custom Carving, Furniture Hardwood flooring, architectural moldings design consultation.